How groovy are these pants?! 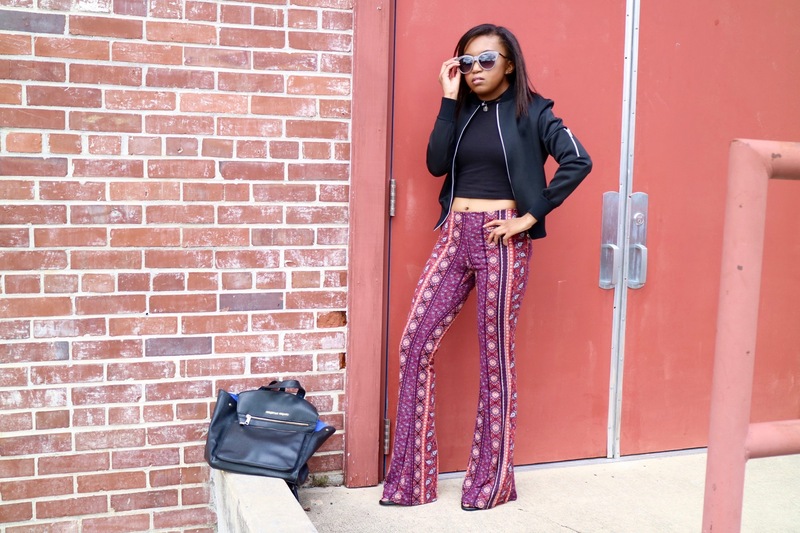 The 70’s Flared pants is one of my favorite trends for this season. I’ve always wanted to be able to wear flared or wide legged pants, but since I’m so short, I stay away from them. Luckily, for me I found these amazing pair in the juniors department. The reason why I love flare pants is because they make you appear taller and trust me being 4’10, I can use anything to give me height. 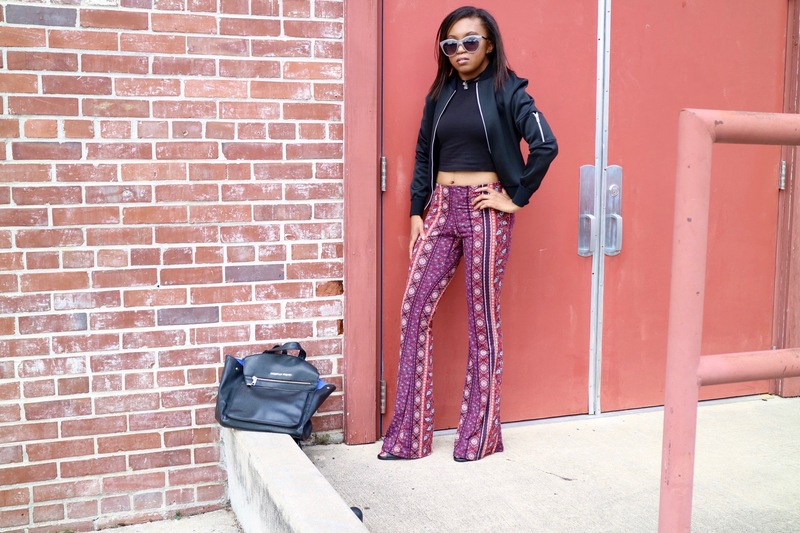 I decided to pair these pants with a crop top and bomber jacket to pull off an updated 70’s vibe. 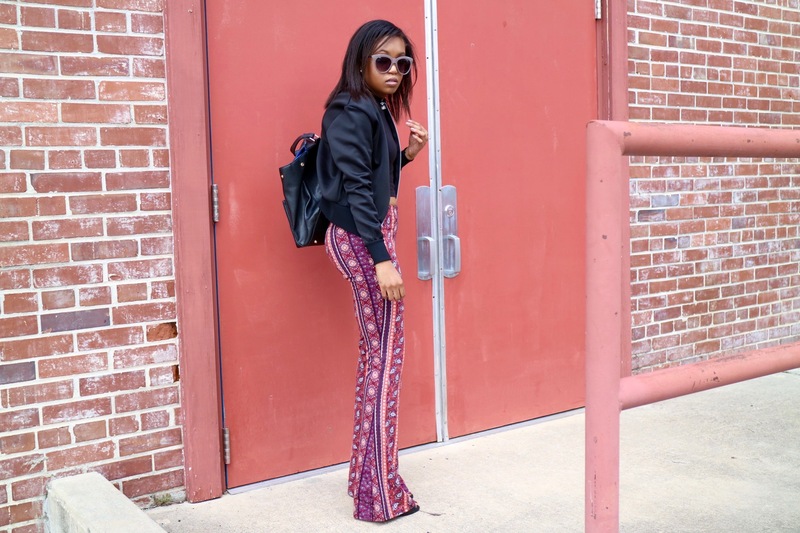 What’s your opinion on the flared pants trend?